Given all the controversy surrounding just who has the right to grow and distribute medical marijuana, one might believe that it’s still illegal in Michigan. Despite what the law says, some cities in the Great Lake state are not on board with the idea of treating cannabis like traditional medicine. But while some have gone as far to outlaw the cultivation and distribution of the plant in their jurisdictions, others have embraced the multi-faceted flower with open arms. For now, the clinic is just providing the examinations patients need to receive medical marijuana licenses. Dr. Crocker is hoping to expand on this in the near future. “We are talking to primary doctors, accupuncturists, nutritionists and addiction councilors in the area,” says Dr. Crocker. Doctors in several Michigan cities have reportedly expressed interest in opening clinics modeled after the Kalamazoo facility, but thought better of it because of fear of legal ramifications. According to Dr. Crocker, Michigan Holistic Health wasn’t all that concerned about such consequences. “As physicians, we are fairly well insulated legally,” he claims. “We are offering a medical opinion, not dispensing marijuana. Local law enforcement has been supportive of our efforts.” Kalamazoo is reportedly considering zoning changes concerning medical marijuana. Dr. David Crocker makes it clear that Michigan Holistic Health is not a dispensary. 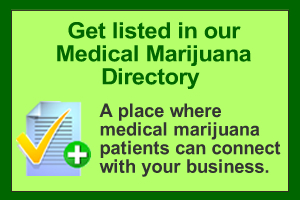 Patients cannot visit the clinic to purchase marijuana, nor learn more details about where it can be obtained. However, Crocker is very supportive of the dispensary concept and legitimate cultivation operations.